Something new is happening at something very, very old. 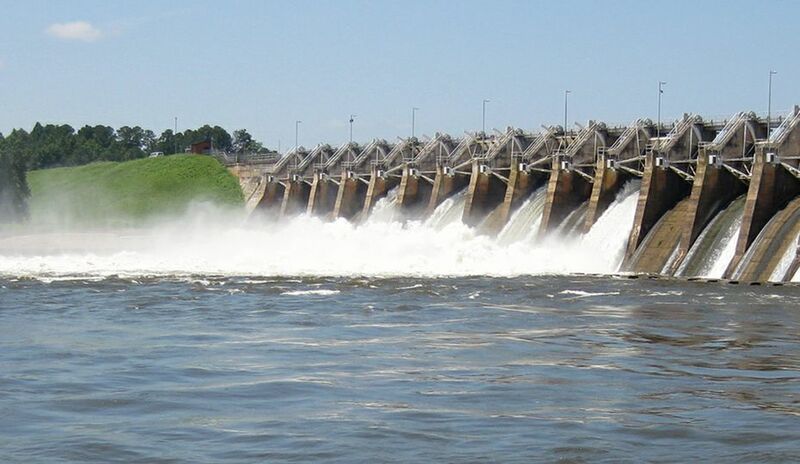 Duke Energy for the first time is providing scheduled releases of water from the Tillery Hydro Plant for boating and fishing on the Pee Dee River. 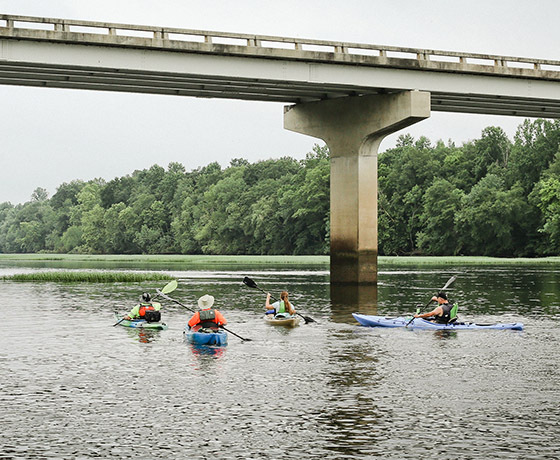 Taking advantage of the flow on a recent Saturday morning were about 40 paddlers kayaking down a scenic stretch of river snaking through the Pee Dee National Wildlife Refuge. 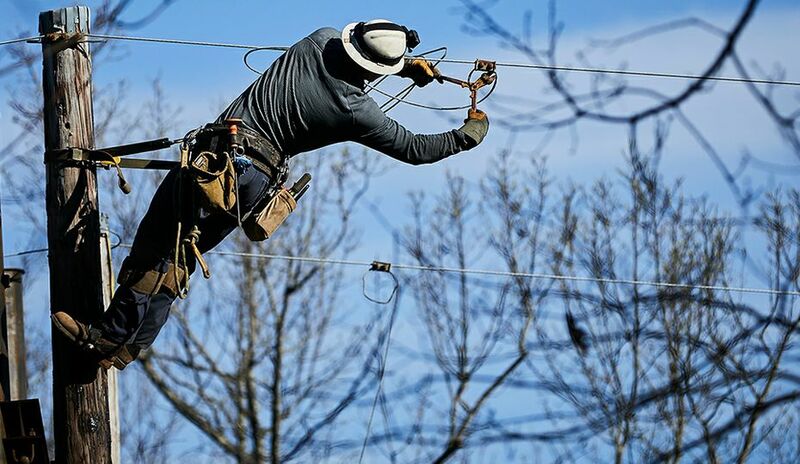 Located in the Uwharrie Lakes region in central North Carolina, near one of the oldest mountain ranges in the U.S., Tillery has been providing energy since 1928. 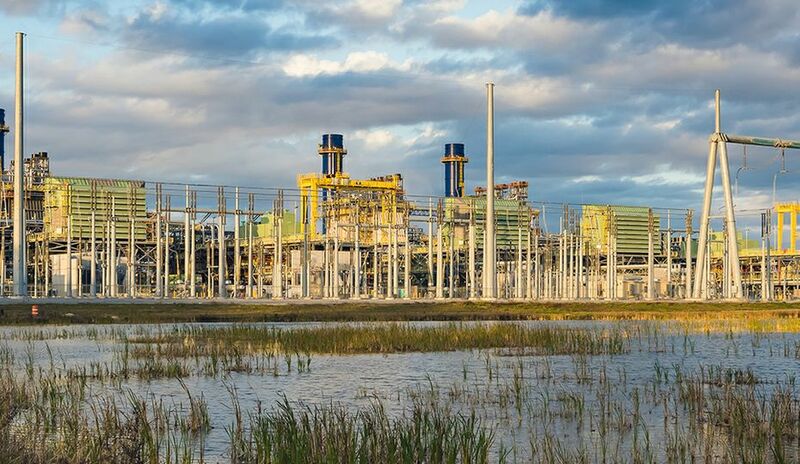 Although the plant has been operating for nearly 90 years, never before has Duke Energy scheduled releases from Lake Tillery, the plant’s reservoir, for recreation. Tillery Dam also provides water to a second Duke Energy hydro plant, Blewett Falls, about 19 river miles downstream on the Pee Dee. 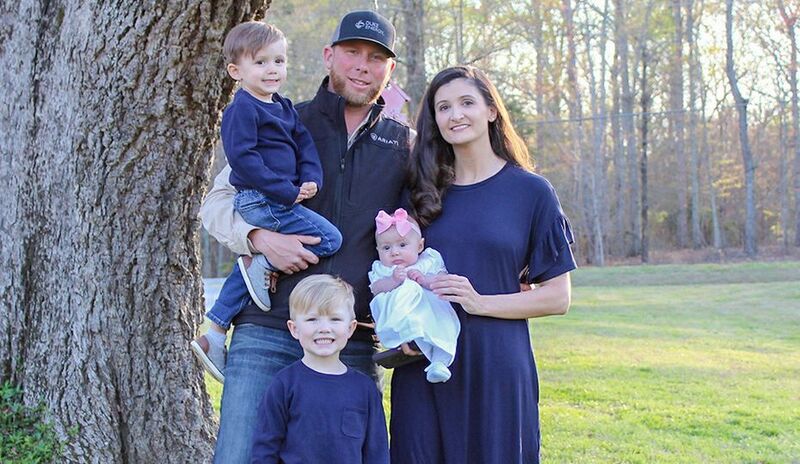 The flow releases are part of the new, 40-year operating license for the Yadkin-Pee Dee Hydro Project issued by the federal government in 2015. The Yadkin-Pee Dee project includes Tillery and Blewett Falls lakes. There are 11 water releases scheduled on Saturdays from May through early September. These releases provide reliable flows so boaters can plan when and where to put in the river and how long it will take to travel to take-out locations. Unlike whitewater releases on the Nantahala River that bring out advanced paddlers, these releases, ranging from 800 to 1,000 cubic feet per second, can be enjoyed by families and beginner paddlers who want to spend a more leisurely half day on the river. Just below Tillery Dam, Duke Energy built Clarks Creek Access Area to provide a primary entry point for boaters. Maintained by the N.C. Wildlife Resources Commission through a partnership, Clarks Creek includes a boat ramp, portable toilet and accessible parking. These new amenities complement other popular activities in the Uwharrie region that include hiking, fishing and mountain biking. If you want to go paddling and fishing on the Pee Dee River in North Carolina, here are some sites for more information: Visit Montgomery County; Duke Energy Lakes and Recreation; Pee Dee River Map.